Stow, OH, USA (January 25, 2017) — We are pleased to announce that SPIROL International, in Stow, OH, continues to maintain certification to AS9100 Rev C for its manufacturing facility. SPIROL has held the AS9100 certification since 2006. This is in addition to the other quality certifications in place for the Ohio facility: ISO/TS16949, ISO 9001:2015, NADCAP Chemical Processing - AS7108 Rev G, NADCAP Laser Beam Machining - AC7116 Rev B and AC7116/4 Rev C. Here is a link to view the quality certifications at all SPIROL global locations. 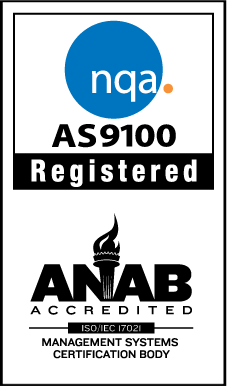 AS9100 is among the highest international quality management standards for the aircraft, space and defense industries. AS9100 is managed by the International Aerospace Quality Group (IAQG) and utilizes a process based approach and encompasses all of the requirements of ISO 9001. Special emphasis is placed on risk management, process control and product traceability. The AS9100 Quality Management System standard promotes continuous product and process improvement and ensures that specific processes are used in the manufacture of production components. "These industry leading quality system certifications represent the ongoing commitment by the entire Team at SPIROL International Corporation to high quality, high value, flexible and responsive manufacturing and customer service. ", said Ken Hagan - General Manager. SPIROL continues to be a unique and responsive industry leader in both short run and large volume manufacturing by stocking a wide range of standard raw materials, having low or no tooling costs on low volume orders, and in-house secondary processes like heat treating, passivation, machining, grinding and value-added assembly and kitting. This is all supported by a Team dedicated to ensuring SPIROL's performance and quality meets and exceeds our customers most challenging applications. This certification exemplifies our relentless pursuit of continuous improvement. SPIROL specializes in high quality, Precision Engineered Shims ranging from simple OD/ID configurations to complex geometries in a wide variety of standard and custom materials. With over 70 years of experience focusing on continually enhancing our services, we have become one of the premier global suppliers to the aerospace, agricultural equipment, government/defense, heavy equipment and industrial equipment industries. We provide product, including prototypes, in quantities ranging from one piece to thousands, in thicknesses ranging from .002" (0.05mm) to .250" (6mm). Our commitment is to work with you to provide the highest quality Shim product at the best price-point value in our industry.